Which Mr Men or Little Miss character is your child like? Tell Egmont Books: birthday party to win! The much-loved series of Mr Men books is 45 years old and Egmont Publishing is celebrating this month with the publication of a special new Mr Men Birthday Party book. To mark such a milestone Mr Men birthday, Egmont want to know which Mr Men or Little Miss character your child likes best or is most like. And you could win a Mr Men birthday-party bundle (including tableware, decorations and Mr Men books, for 24 guests), worth over £110, for telling us! Which Mr Men or Little Miss character does your child like best? Or which character do you think your child is most like? If you were throwing a Mr Men or Little Miss-themed birthday party for your child, which character would you put on the birthday cake? If you’d like to see a full list of all the Mr Men and Little Miss characters before you make your mind up, have a peek here. Please tell us as much as possible about why you’ve chosen your Mr Men or Little Miss character: Egmont would love to hear all about your child and any anecdotes or funny stories that make you think your child is most like the character you’ve chosen. And if your child would like to draw a picture of their favourite Mr Men or Little Miss, please do post it up too; the folks at Egmont would LOVE that! 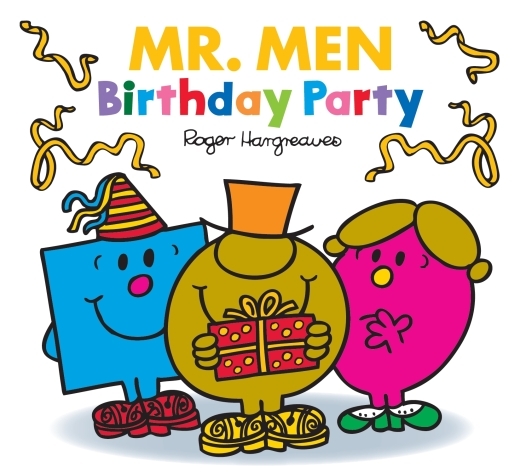 Everyone who posts about their child, and the Mr Men or Little Miss character he or she is like, will be entered into a draw to win the Mr Men-themed birthday party bundle. We'll keep this thread open until Friday June 17th, and we'll announce the winner's name on Monday June 20th. This discussion is sponsored by Egmont Publishing, the largest specialist children’s book publisher in the UK. Please note that comments and pictures you post here may be used by Egmont in future marketing material. You can find out more about the great children’s books published by Egmont here. 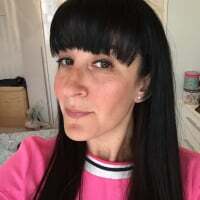 I have my nine year old daughter Lauren who is little miss chatterbox, she never shuts up, Lauren will talk about anything and talks to anyone who will listen. We went to the metro centre shopping and she bought a new soft toy from the Disney store. We stopped for lunch and we were chatting about her new soft toy when she turned around and included the next table in the conversation then the waitet was included and before I knew it the soft toy which I believe was Minnie Mouse was being passed around the restaurant so everyone could pass opinion on what they thought of her new toy!!! Then I have my baby boy who is Mr Cheerful he always has a smile on his face and his smile stops people on their tracks. My Mr Cheerful brightens up everyone's day and is very happy to share his smile with anyone who needs it. He is 5 month old now and all you need on a sad day is a smile and everything seems better. I would choose Mr Greedy as he loves cake . I used to read his book growing up in the seventies and now my 5 Year old loves them too. My little girl is definitely Little Miss Sunshine and Litlle Miss Hug all rolled into one, she brightens up everyone's day, when I'm feeling sad a big cuddle from her always cheers you up, she always knows what to say too. We recently lost a friend to Cancer and saw her husband a couple of days later, and she turned round to him and said 'its ok Keith, Sandra is an Angel now and she's always with you' and she gave him a big hug, she just knows what to say (she's 6) She's the same at school too, she goes to a school which integrates children with lots of different learning disabilities and she just sees them as if they were the same as her, one of her best friends is in a wheelchair and her face lights up whenever she sees Neve, it's amazing to see. My little girl Ruby is just like little miss Fun ... always smiling and having a good time! My son is like Mr Clumsy at the moment he always breaks things or knocks things over. Although I think he is also like Mr Cheerful as he generally is very smiley and happy. My 9-month daughter is Little Miss Sunshine as you has lighted up our lives so much. Little Miss Bossy, always entertaining, and a glimmer of life. My four year old loves the Mr Tickle book. He loves the thought of everyone getting tickled! Of course he also likes being tickled as well as we are reading it! Matilda loves Mr Funny. As it is the first book she had. An orginal inherited from Daddy. 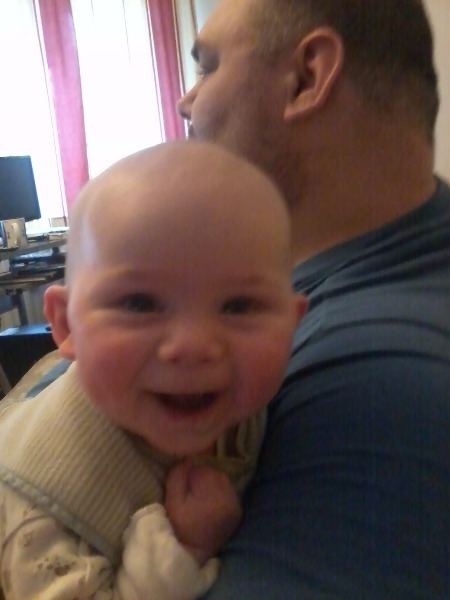 My little boy loves Mr Strong although me and Daddy think he's more like Mr Bump!! 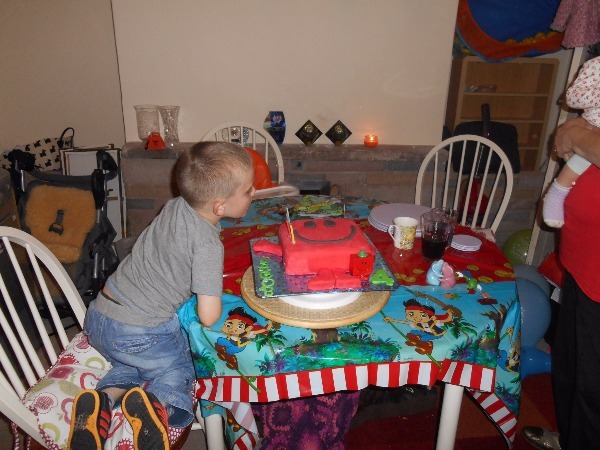 I made him a Mr Strong cake for his birthday last year and he will probably want another Mr Men one this year too! Jake has 2 to 3 Mr Men and Little Miss books read to him every bedtime, they're the perfect length and I'm sure he knows most of them by heart but he still loves to hear them. My little girl loves when I read to her and her favourite one is Mr tickle. She's only 3 month old but she already knows that mummy going to tickle her every time Mr Tickle tickles anyone in that story. My eldest boy is Mr. Bossy; always bossing his little brother around. If he had a Mr. Man on a cake he would want Mr. Strong. My youngest son is Mr. Scatterbrains; he is so easily distracted by anything at any time and will forget what he is doing half way through doing it! 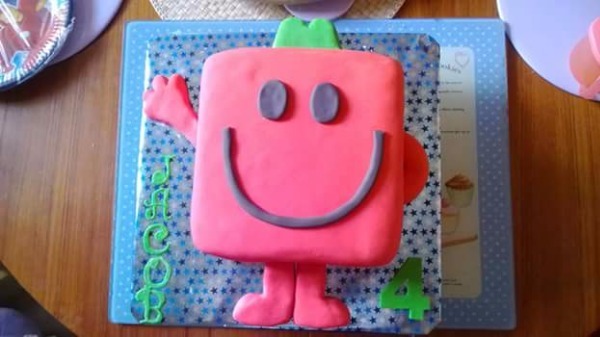 If he had a Mr. Man on a cake he would like Mr.Tickle.